Esoteric or Clearly Articulated Practice? Aside from healing, or generating body heat, what is the real purpose of visualizing deities in advanced Vajrayana practice? Why does Vajrayana visualization almost always imagine deity images? And, why are there so many deities in Vajrayana Buddhism — some of whom are so ferocious they would send demons running for cover? Are these real beings or symbolic? If the ultimate realization of “reality” is Emptiness, why visualize forms at all? What makes Vajrayana so effective in transforming the mind? 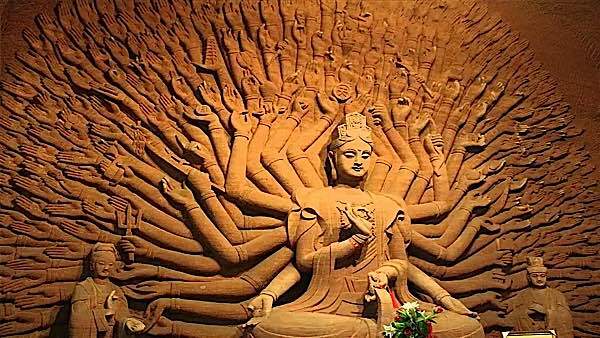 A thousand arms of caring — instantly a Mahayana Buddhist thinks of Avalokiteshvara. A loving mother, who would sacrifice all for the safety of her children — brings to mind Tara, with her one leg poised to spring into action. 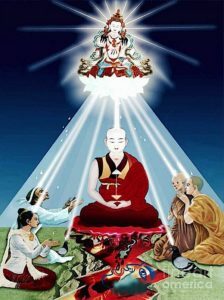 The pure white light of purity and cleansing — immediately invokes images of Vajrasattva. Then, there are the ferocious faces of Enlightenment, most recognizable in the terrifying fanged-face of Mahakala — who is none other than Avalokiteshvara in his wrathful form. 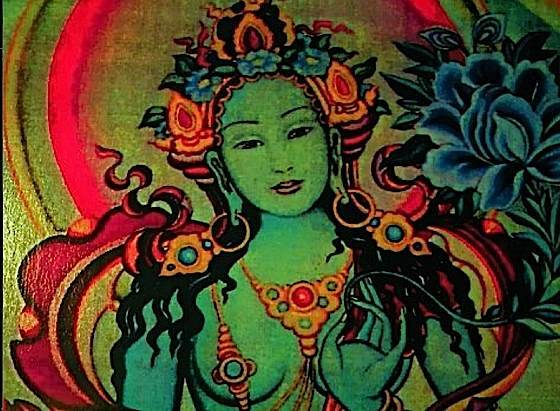 Why does visualization of Tara, or the self as Tara, bring comfort and a feeling of safety? Those who only see the outer form, might jump to the conclusion that Vajrayana Buddhists are superstitious. In fact, Vajrayana practices are powerful for helping us overcome “our self centered thoughts and habitual storylines.”  In other words, potentially, visualization engages the mind fully in change. Either change in the form of healing, or change in the form of perception — which is a key purpose of deity practice. 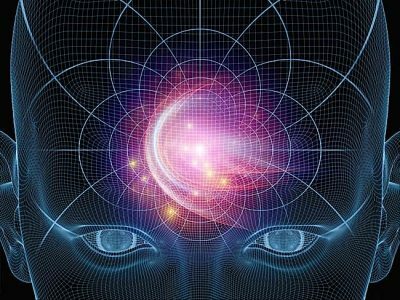 Care Givers for many chronic illnesses know the power of visualization meditation. 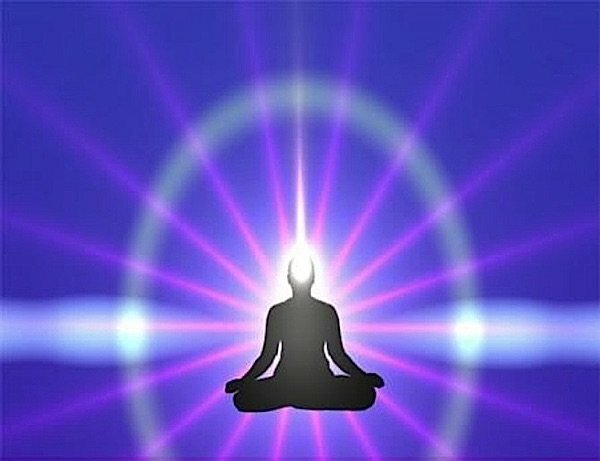 A patient with cancer might be provided with guided visualization meditations — visualizing the cells of their own body attacking and destroying the cancerous cells. Visualizing healing light can actually be transformative. Clinical studies have shown 10 key benefits to meditation. Vajrayana meditation in particular is associated with help with Cognitive issues. Likewise, Vajrayana practitioners, who practice Tummo, can be seen comfortably meditating outdoors without clothes in the winter — using the power of mind to control body heat. For centuries, Vajrayana practitioners have understood the power of visualization, not just to heal, but to transform our own minds. Often we see Vajrayana characterized as esoteric and mysterious. Or superstition — among those who don’t follow the profound logic of visualized meditation. On one hand, there is nothing hidden or mysterious about a meditation method that clearly articulates its methods in precise and detailed sadhanas. The mystery is not as much in the method, as in the ultimate goal of that method. On the other, most of the instructions for practice are passed on from teacher to student through initiation and teaching — making it less accessible, and therefore esoteric, from that point of view. This isn’t designed to keep it mysterious, but to protect the student from jumping to wrong views. 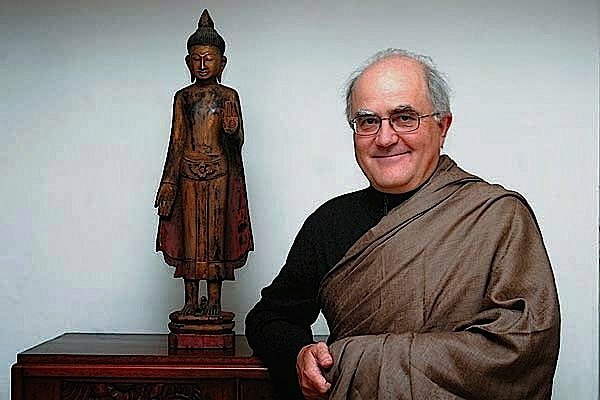 One of the profound goals of Vajrayana visualization is to break down our mind’s stubborn clinging to the notion of “self and other.” By visualizing mind-realms as Pure Lands, apparently as real as our own “perceived” world, we gradually let go the grasping at our incorrect notions of reality. From the point of view of “I” and “other” even a visualized deity has reality. In fact, during “generation stage” visualization practices, the Vajrayana student repeatedly transforms him/herself into the deity, complete with “divine pride.” Then, we demolish that notion, by dissolving our new deity-body to Emptiness. Then, we rebuild the visualization of self as Deity once more. Over and over again. Then, are we saying the deities are not real, but a skillful method designed to overcome the mind’s stubborn habits of incorrect perception? That they are no more than imagination? The answer is emphatically no. “When we refer to the wisdom deities as symbolic, we don’t mean they are mere symbols,” explained Eric Holm in his article, “You are Avalokiteshvara.”  So, does that mean the Deity is real, or not real? Depending on your stage of practice, we might realize that the deity we are visualizing is just as real as we are — which is to say we are both ultimately Empty. Empty does not equate to nothingness, and is a profound concept that takes lifetimes to really comprehend (beyond simple intellectual understanding). So, on one hand Tara is just as real as we are, ready to jump to our aid, an emanation of our mind ready to help us. On the other, at the ultimate level She is no more real than we are. She manifests an image and ego to relate to us. Once we develop realizations of Emptiness, we no longer need Her protection — we understand there can be no fear when we are empty of the clinging to Ego. Another way in which we can understand the deity is as a way of expressing our own innate Buddha Nature. Shakyamuni Buddha taught that we all have Buddha Nature, every being without exception. We see it expressed in acts of compassion, and we recognize it in our meditations with glimpses of deeper wisdom. If we can remove the obstacles to practice, such as clinging to ego, anger, impatience, then we can glimpse our Buddha Nature. The deities help us remove those obstacles. Vajrasattva helps us to visualize ourselves as pure. Tara helps us remove fear, which results from ego-clinging. Avalokiteshvara teaches us compassion. In these ways, they are very real manifestations of our mind, and very potent aid in our practice. Why, then, do these deities manifest in many forms? Because, the language of the mind is image. A thousand arms reaching out to comfort us connotes compassion. Even with “mindfulness” practices (common to all forms of Buddhism) we are taught to be the “observer” (not the “listener” or the “reader.”) One reason Vajrayana Buddhism is considered an advanced practice requiring teacher guidance, is — that, besides its level of difficulty — it emphasizes powerful visualization practices of deities and their mandalas. Such intense visualization fully engages all three of body, speech and mind in a process of transformation. Prayer or sutra recitation works primarily with speech. Mudras work mostly with body. Vajrayana practices work with all three. It may seem contradictory, that in pursuit of Emptiness, we create (visualize) fully populated pure lands. In fact, these visualized mandalas and deities, like mindfulness, help us, at least in part, to overcome the habituation of the mind.